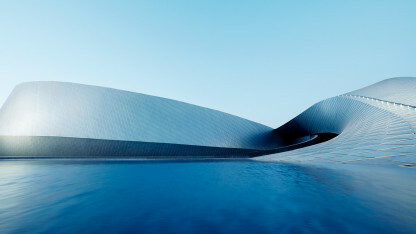 The National Aquarium Denmark – Den Blå Planet is based on the existing charter for Denmark’s Aquarium, focusing on exhibitions, dissemination, education, research, the environment and nature conservancy. Beautiful architecture, research and dissemination, state-of-the-art aquarium technology and animal species from all over the world create surprising and memorable experiences that set the hearts of children and adults beating for the wonderful world of aquatic life. The National Aquarium Denmark – Den Blå Planet strives to be an internationally recognised experience destination that attracts guests from all over the world, primarily from the Øresund Region and Denmark. The National Aquarium Denmark – Den Blå Planet is expected to receive 700,000 guests annually and to rank among the five most popular attractions in Denmark. The National Aquarium Denmark – Den Blå Planet’s convenient location near the Metro, railway connections, motorway and Copenhagen Airport is expected to drive these visitor figures. The primary target group is families with children living within approx. 2 hours of the aquarium. The National Aquarium Denmark – Den Blå Planet is a unique workplace in aesthetic surroundings where the focus is on retaining and recruiting the most qualified managers and employees. The National Aquarium Denmark – Den Blå Planet has a staff of approx. 100. The approving authority for the National Aquarium Denmark – Den Blå Planet is the Danish Veterinary and Food Administration.